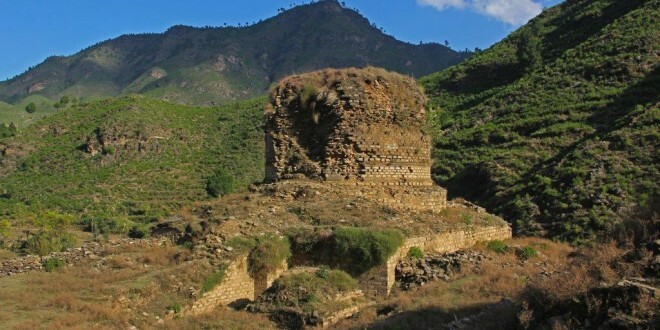 MINGORA: Despite directives of the chief minister to take possession of the 11 historical sites of Gandhara Civilisation, situated on privately owned land, the authorities have failed to purchase the land after two years. Chief Minister Pervez Khattak, during his visit to Mallam Jabba snow festival on March 12, 2014, had directed the authorities concerned to take possession of the 11 most important archaeological sites in Swat. The sites include Mahmood Ghaznavi Mosque, Barikot, Butkara III, Jurjurai Stupa, Shneysha Stupa, Abbasahib Cheena, Balokaley Gumbat, Ghalegay Statue, Jahanabad Buddha, Shingardar Stupa, Barikot Miana and Amluk Dara Stupa. However, after two years the sites are still owned by individuals as the government failed to acquire them. The local cultural activists, archaeologists and members of civil society have shown concern over delay in acquiring the sites. They have demanded of the government to purchase the land and take possession of the historical sites immediately. “These sites of Gandhara Civilisations are of great importance which are being demolished and destroyed,” said Usman Ulasyar, the chairman of Suvastu Arts and Culture Association. He said that authorities should immediately purchase the sites otherwise people would stage protest against the provincial government. “If the directives of chief minister can go unanswered then who else can do this,” he questioned. Dr Abdul Samad Khan, the director of archaeology and museums, said that the legal procedure of acquiring land of all the sites was completed. “Provincial government has sanctioned Rs284 million for all the sites and we are waiting for release of the amount. Once we get the amount, we will immediately pay the owners of the lands and will take possession of the sites,” he told Dawn. Mahmood Khan, the provincial minister for archaeology, museums, sports and tourism, when contacted, said he would soon take up the matter of release of funds with the finance department. “I will instantly inquire as to why the finance department is not releasing the already approved amount to archaeology department. I hope that within a week the amount will be transferred and sent to the district administration to pay it to the landowners,” he said. The minister said that he would soon take tangible steps for promotion of cultural and archaeological tourism in Swat.